After a solid year of house hunting we finally found just what we were looking for in Somerville. We moved in January of this year, right in the middle of that terrible cold we experienced this year in New England, when none of us could imagine a time when we it would be warm enough to garden. Our new house is blessed with a tiny city yard, both in the back and the front. 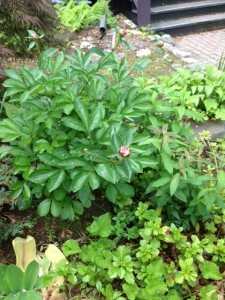 A well-established rose bush, a forsythia, and 2 smaller rose bushes make up the only planting in evidence anywhere in the yards. Rather than plunge into any big gardening decisions I’ve decided to spend the year studying the light and soil conditions and to compile a gardening wish list. As I bike or walk around my new neighborhood I am trying to observe what my neighbors have found success with and see if it might work for my unique conditions. 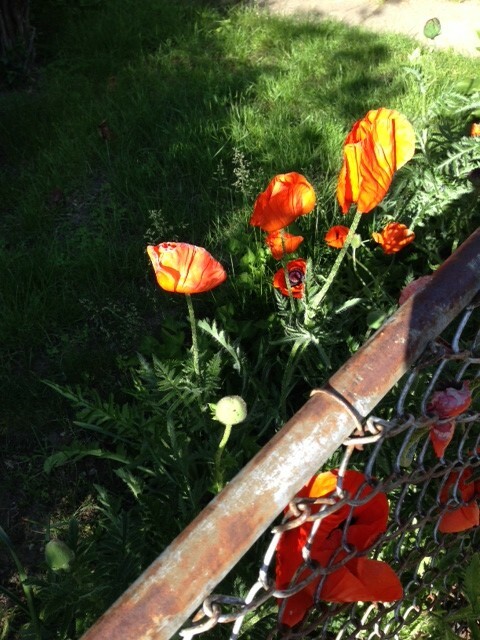 The picture at the top of this post is of poppies, which are popping up all over town right now. 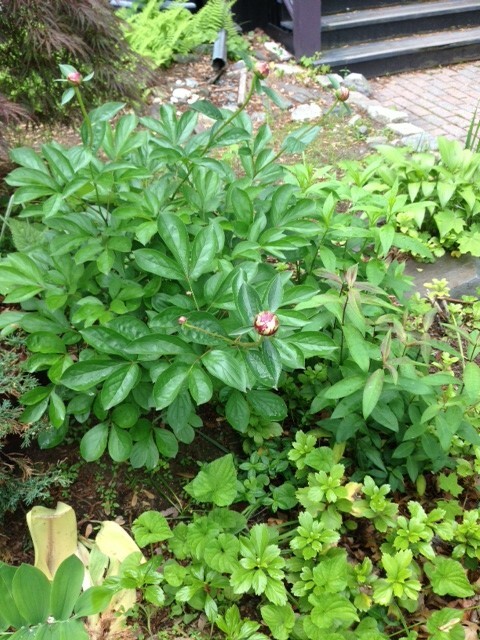 Ive also been wondering about peonies, pictured to the left as buds. The blossoms are beautiful, and it seems like a hearty plant for our region. 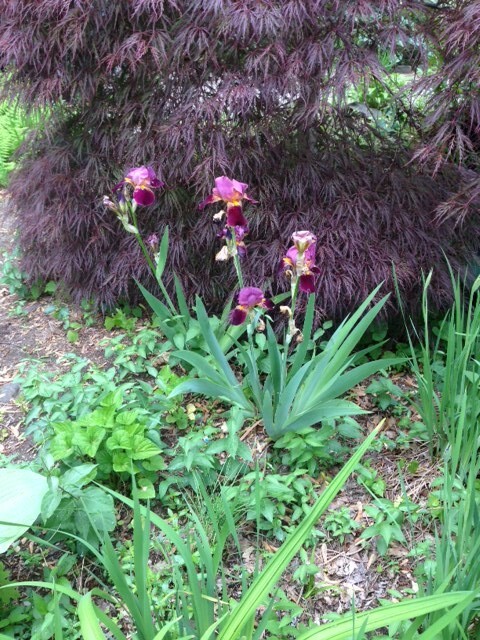 I am also hoping to plant some irises. I am looking forward to a summer of checking out all of the neighborhood gardens! 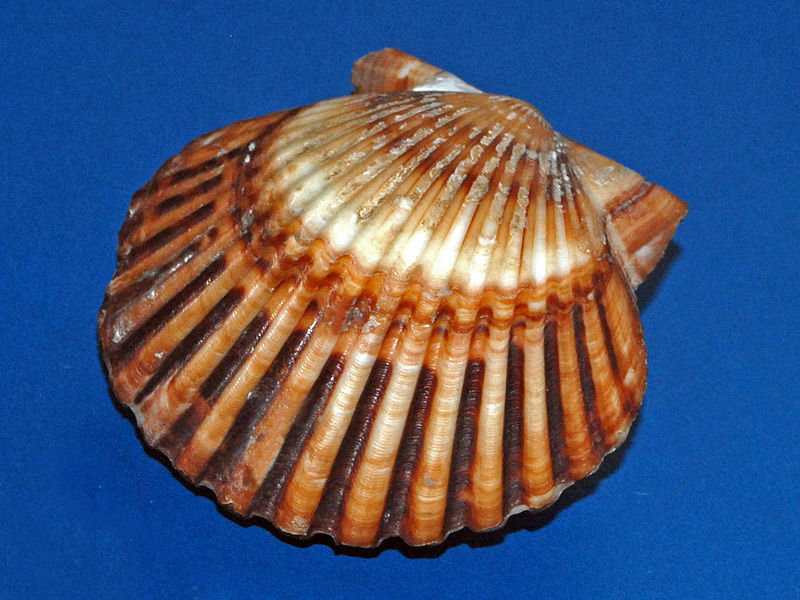 I have been exploring the seafood of New England, which is so different from that of my native Louisiana, and have recently discovered Nantucket Bay scallops. I’m certainly not an expert on these scallops, but what I do know is that they are small, sweet, rare and more expensive than regular scallops. They have a small window of availability, and I lucked out in getting some today at the last Central Square farmer’s market of the year. I found this great recipe for Nantucket Bay scallops with almonds and orange at Yankee Magazine, but I lacked orange juice and chicken stock. What to do? I modified the recipe to use about 1/2 cup of sherry, a few tablespoons of lemon juice and honey (plus a little water) to create a different version of the recipe from Yankee Magazine. It came out delicious, and was as easy as any scallop recipe I’ve made. 1. Wash, dry and salt scallops. Dredge in almond meal. 2. Heat large frying pan and add butter and olive oil. Add scallops to hot oil and spread out in a single layer. Cook for roughly 2-2.5 minutes, trying to turn them once if possible to create a nice seared crust. 4. Add sherry/white wine, water, lemon juice and honey. This will allow you to deglaze the pan. Make sure to scrape up anything that is stuck to the pan–that’s where the flavor is! Cook until liquid is reduced by at least 1/2. 5. Turn off the fire and return scallops to the pan. Toss to coat with the sauce. 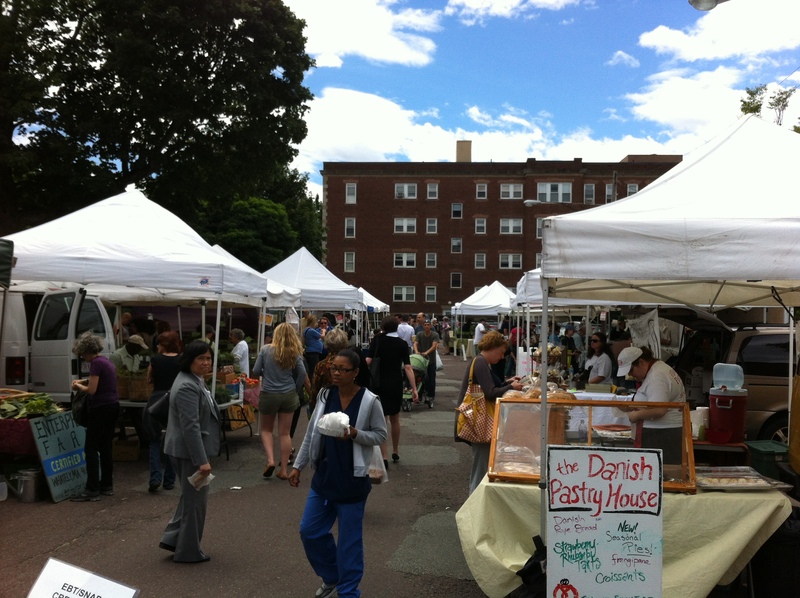 Local farmers’ markets are in full swing here in Boston and I couldn’t be happier. 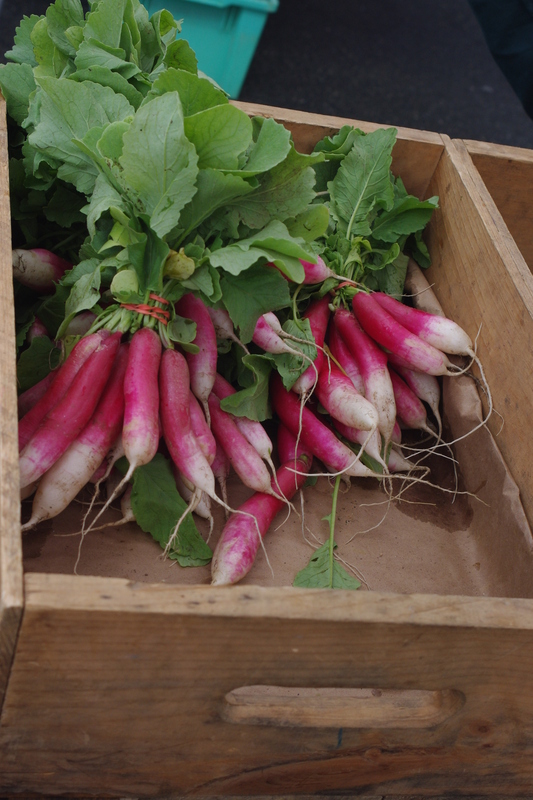 Every year the farmers bring new and interesting produce to the market giving adventurous eaters plenty of great things to try. Purslane has turned up in my local markets (Central Square and Davis Square), and I love it. In America we’ve treated purslane (also known as Portulaca) as a weed. Other cultures have recognized it as a remarkably healthy vegetable that just happens to grow like a weed! Purslane is loaded with all of the nutrients you expect to find in a leafy green vegetable: vitamin A is present in large quantities, as well as vitamin C and multiple B vitamins. It contains a decent amount of minerals like iron, magnesium, calcium and potassium. The truly exciting nutrient in purslane is Omega 3 fatty acids. Purslane has a large serving of ALA, which is usually found only in fish, flax, hemp seeds and chia seeds. So, how do you prepare it? What does it taste like? Like most foods that contain omega 3s, heat is the enemy. Purslane is delicious raw, either as a stand-alone salad or mixed in with other salad greens. It has a nutty/lemony flavor with a great crunch when you have it raw. It’s also nice quickly stir-fried. It’s great stirred in to scrambled eggs. Saute an onion first, then briefly saute the purslane before adding your scrambled eggs to the pan. Serve with salsa and maybe corn tortillas. Germophobic about the subway? Relax, it’s not as bad as you thought. The New York Times recently posted this article about a study done in NYC’s subway system. The goal was to discover if subway air was any more germ-filled than in any other place. The answer seems to be no! So, while you still need to watch out for anyone coughlng or sneezing on public transportation, and you still should _not_ touch your face (eyes, nose, mouth) while you’re out anywhere, you don’t have to worry that the subway is any grosser than any other public space. My work as an acupuncturist and Chinese herbalist has completely changed my understanding of healthy. Food is medicine in the Chinese way of thinking, and you have to put the right medicine in to be well in your body. No matter what your constitutional needs, switching to a diet of minimally processed foods is going to make you feel better. You’ll eat lots of fruits, veggies, protein and actual whole grains. I know you can’t be perfect every day–shoot for 80% unprocessed and 20% whatever you want (well, within reason. . .). The goal is to avoid as many added chemicals as possible (the unpronounceable ingredients on processed foods, which appear in a shocking number of products). Fixing your diet is an important part of having radiant, healthy skin. A healthy diet with lots of fruits and veggies is high in antioxidants, which makes your skin glow! What you put on your skin matters as much as what you put into your body. We know that you absorb all kinds of things through your skin, including chemicals (nicotine and estrogen patches? Stick on birth control patches? I could go on). We know that most commercially prepared skin care products are full of the same sort of unpronounceable chemicals you try to avoid in your diet. So, why not make your own skin care products? You don’t need to make all of your products–all-natural products do exist–but it’s not too much work to make some things of your own. Many are easy to whip up right on the spot. One way I enjoy passing cold winter nights here in Boston is to give myself a natural facial (preferably followed by a hot bath, when I have the time). I follow Rosemary Gladstar ‘s 5 step program: 1. Scrub, 2. Steam, 3. masque, 4. tone, 5. moisturize. Rosemary includes a great selection of skin care recipes in her book, Herbs for Natural Beauty . I keep a variety of herbs on hand, and I know that you might not, but it’s easy enough to visit your local herb shop (if you’re lucky enough to have one), or order a few things on the internet. 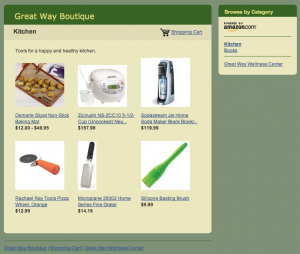 I order my herbs from MountainRoseHerbs.com, which sells herbs in small quantities, making it easier to experiment. They carry an extensive selection of organic herbs and oils, giving you to option of making your skin products that much better! 1. Scrub–2 tsp honey mixed with 2 tsp ground nuts (almonds, sunflower seeds, flax seeds, etc). You can grind nuts and seeds in an electric coffee grinder (I recommend buying a dedicated grinder for herbs and nuts–you will ruin your coffee if you do them in the same machine!). 2. Herbal facial steam: in a large pot (soup pot?) boil a handful or two of herbs that you have on hand (tea bags are just fine! ): Calendula, Rose, Lavendar, Chamomile and Mint are all excellent and gentle options (I like a combination of them all). Boil them for 2-3 minutes, keeping the pot covered until you are ready to use it (the essence of the herbs is in the steam, and you want all of it to go into your skin!). I recommend setting the pot on a low coffee table, tent a bath towel over your head and sit on the couch so you can steam for 5-10 minutes (longer is supposed to be better). It should be hot under your “tent”, and if it’s too much, you should let some air in to cool the steam. Betonite clay is a mineral-rich clay that is appropriate for most skin types. It’s action is to gently and throughly pull all the dirt out of your skin. I love using fatty milk products–the lactic acid gently exfoliates while the milk fat moisturizes. This masque doesn’t smell very good, but it’s great for your skin. The least messy way to remove it is in a shower or bath. Toning helps close your pores back up after the steaming and cleansing masque. If your pores stay open, it’s easier for dirt to make it’s way back in. I like to make my own lotion. Most of us use lotion every day, so it seems like the most important product to make. I make mine with organic oils and organic true hydrosols. I haven’t seem many products that boast such an ingredient list. Making lotion takes some finesse, but it’s extremely satisfying when you succeed. I hope to post instructions soon. I highly recommend Rosemary’s excellent Herbs for Natural Beauty , where you will find clear instructions and an excellent lotion recipe to get you started. 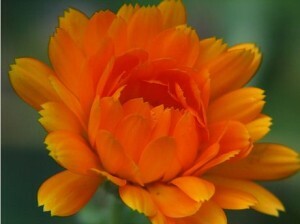 Pot Marigold (Calendula officinalis) photograph by AudreyJM529 under creative commons licence. I don’t believe in making New Year’s resolutions. I kind of feel you should try to do all that stuff all the time anyway. My patients often ask for recommendations for cookbooks, kitchen gadgets, and more, but I haven’t had a convenient way to make that available. That’s why my to-do list has included “create an Amazon storefront” for a long time. So, with the help of my husband, we spent an hour or two on New Year’s Day creating a boutique at Amazon. (OK, full disclosure: he did all the work setting it up as I was cooking dinner, shouting out book titles.) You can get to it by following the Great Way Boutique link at the top of this Great Way Weekly blog or on the sidebar of the Great Way Wellness main website. The boutique will feature the books, tools and other items I use to make a healthy, happy home. I’ll update it frequently, so check back now and then for exciting new recommendations for books, kitchen gear, and more! So, even though it wasn’t a New Year’s resolution, it’s nice to check this off of my to-do list. I hope you find it useful. Exactly what it says: everything vegetarian. This book is a must-have for any serious vegetarian. Almond flour is the secret to making amazing and tasty gluten free treats. More than just a cookbook, this guide shows you an entire lifestyle of great living and great eating. This book has lots of special holiday treats. Growing up in francophone New Orleans exposed me to a fair amount of French culinary traditions. 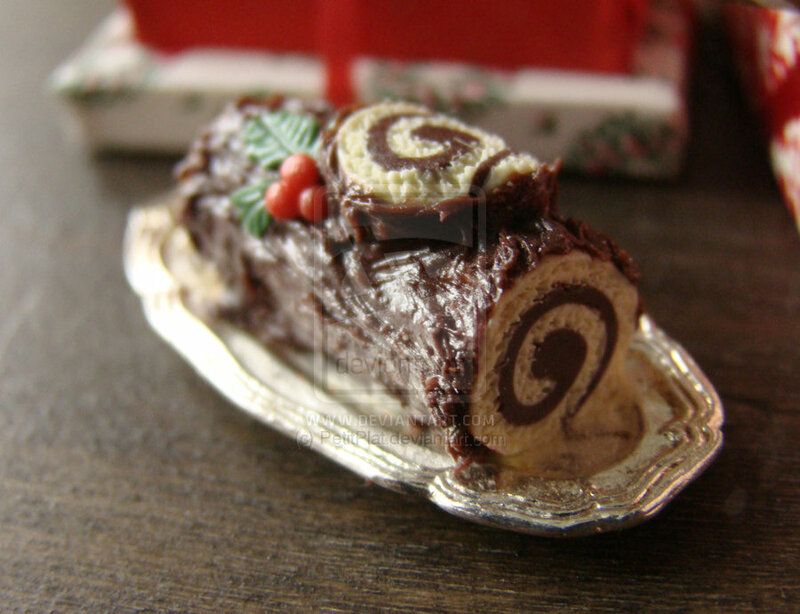 One that has always intrigued me is the French christmas cake, the “Buche de Noel,” a sponge cake roll decorated to look like a log. It is usually iced in a chocolate butter cream, and filled either with more chocolate or perhaps a coffee buttercream, and might include decorations like meringue mushrooms. I’ve never made this cake before because it seems complicated (or at least more involved than your standard cake). But, I think this is the year! I’m excited to try this recipe over at Cake and Commerce. It’s gluten free, but not made entirely of starch as some other GF recipes out there. It uses buckwheat flour, one of my favorite GF flours. I think this will be the perfect Christmas Eve activity. Hopefully I’ll be able to get some good pictures to post here. I wonder if I can make shiitake-shaped merengue mushrooms. . .
Photo is CC Licensed from petitplat.deviantart.com. It’s cold season again. . .
As we move into the colder months we become vulnerable to colds. While it’s true what they say, “there’s no cure for the common cold,” Chinese medicine offers some help to prevent it in it’s early stages. In Chinese medicine, a cold is an invasion of wind, what we call an “outside pernicious influence,” or an “OPI.” We are more vulnerable to wind invasions when the weather is changing from one season to the next. Energetically season transitions are considered windy times. As we move from warm weather to cool our body’s energy must make the journey from the surface, where’s it’s helped us sweat and cool down all summer, to the core where it becomes a furnace to keep us warm in the winter. This transition makes us more vulnerable–think about the unexpectedly cold day early on in the season. You probably feel colder than you think you should because your qi is still at the surface, not stoking your furnace. 1. Wear a scarf. Wind enters your body through the neck (think about the stiff neck/headache you get at the onset of a cold). Keeping your neck covered can help keep that door shut to OPIs. 2. Dress for the weather, not for the time of year. Dressing warmly on an unexpected cold day early in the season can help you protect you as your qi makes that journey from the surface to the furnace. 3. Eat immune boosting Shiitake and Maitake mushrooms as frequently as possible. Fresh shiitake and maitake can be expensive and hard to come by, but dried mushrooms are always available and much more affordable. You can rehydrate dried mushrooms by soaking them in hot water, then using them as you would fresh mushrooms. Use the soaking liquid in soups and stews. Add dried mushrooms to home-made vegetable stock. If you do feel like a cold is taking hold, catching it in the early stages can help you prevent it from becoming a problem. 1. As soon as you feel like you might be coming down with something, make yourself sweat. I prefer a passive sweat–sit in a sauna, take a hot bath or shower–but if you’re not feeling too tired, a gentle workout can be o.k. When you sweat, it forces the OPI out of your system. Also, heating up the body tells the immune system to turn on to do battle with invaders. If you’re like me and have some home-made ginseng tincture at home, you can add some to you’re hot bath for an extra immune system boost. This is an extravagant use of an expensive herb, but if you have it, it’s a nice addition. You can also boil dried ginseng root to make a decoction and add that to your tub. 2. Make tea with fresh ginger root. Fresh ginger can help release the exterior and make you sweat. Slice about 1 inch of ginger root into roughly quarter-sized coins. Boil for 20 minutes in about 2 cups of water. Drink this tea with some honey. It should taste spicy and potent. If it doesn’t, add more ginger and a little more water and boil it again. You can get a really good sweat going by drinking this tea while you’re sitting in your hot bath. 3. Take Yin Qiao San or Gan Mao Ling. These are two of our most basic cold-fighting formulas, and are generally safe for you to take on your own. I feel that no one should self-medicate with herbs–you should _always_ consult a trained herbalist–but these two formulas are well tolerated and increasingly available at natural food stores. Yin Qiao can sometimes cause loose stool, depending on your constitution, but it shouldn’t be a huge problem, and is a trade off for keeping a cold at bay. 4. See your acupuncturist. If it’s early stages, we can help kick the cold out of your system. If it’s taken root and you’re sick, a treatment can help you feel better faster. 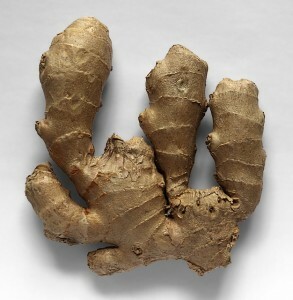 Public domain image of ginger root from here. It’s farmer’s market season in Boston and I couldn’t be happier. I am fortunate enough to shop at the markets in Central Square and Davis Square (which is located directly behind my office!). I have found that produce from the markets is fresher and tastier than anything in the stores. The prices work out to be more or less the same (or slightly cheaper, depending), but you get bigger bunches of things for the money. The markets have also turned me into a tomato snob–I never buy them from the grocery store because they are mealy and flavorless. I actually have a tomato problem in the summer–once they start appearing in the market I find myself buying so many that we have a hard time eating them all (a happy difficulty to have! ).There are markets all over town, all week long. 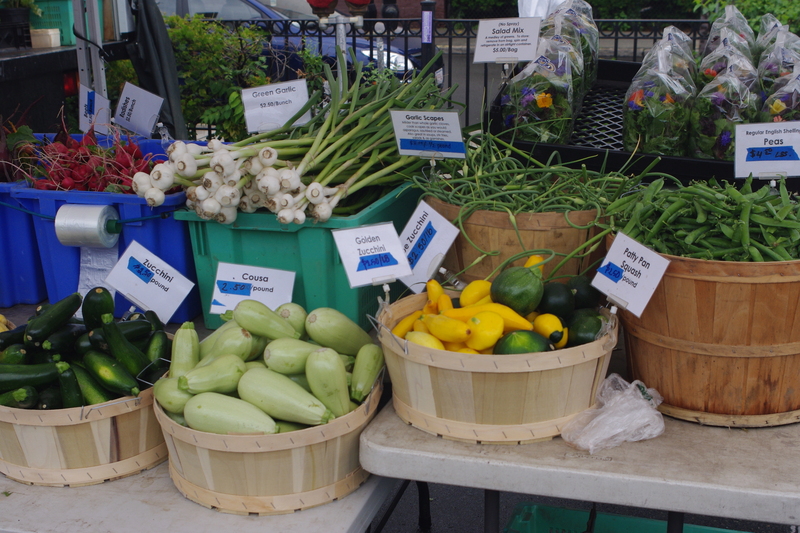 Check out the Federation of Massachusetts Farmer’s Markets to find one near you. 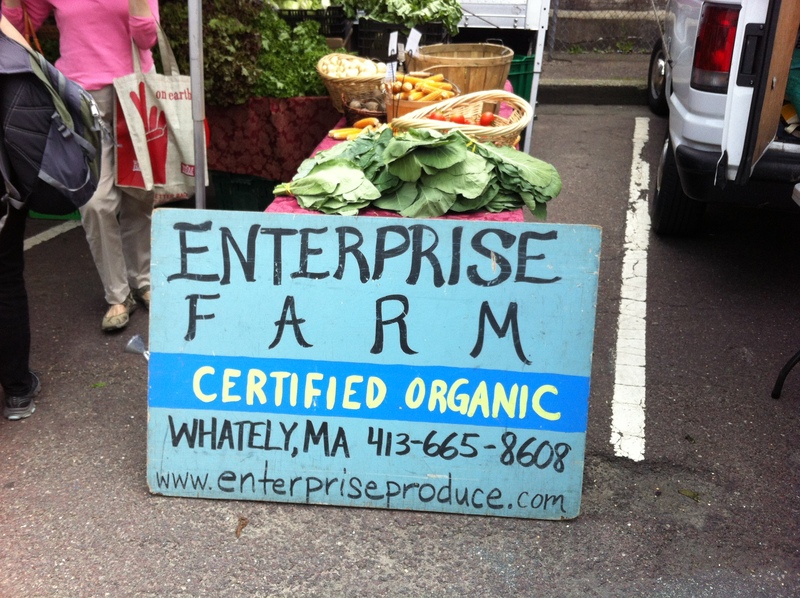 I always visit the Enterprise Farm stand in Davis Square to buy my greens. They’re an organic farm, and I like to try to buy as much organic produce as possible. They grow multiple varieties of my favorite vegetable, Kale, along with delicious salad greens, tomatoes and many other organic green things. 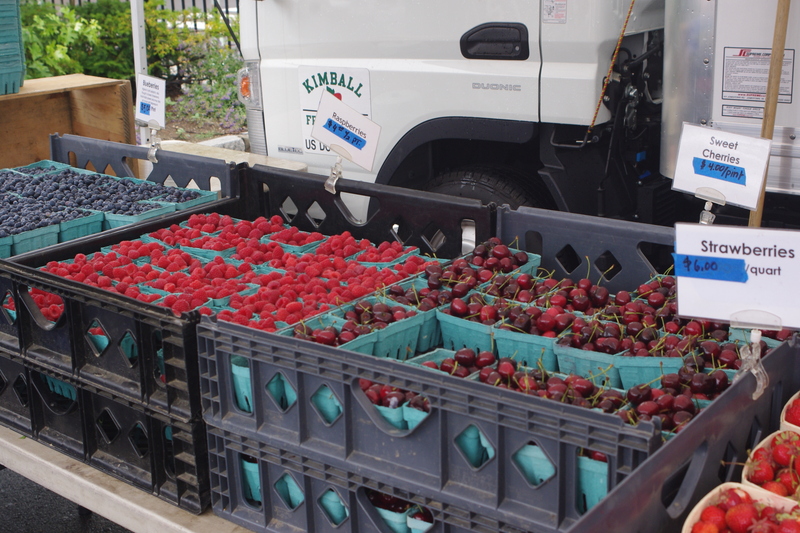 The Kimball Farm is at both of my markets and they have the biggest selection at both markets. They are not organic, but “low spray,” which means they only spray when they have to. They have expanded their “no spray” produce, making them a good alternative if you can’t find what you want at the organic stands. I’m addicted to the berries from the Bug Hill Farm stand. They overfill their containers, and their berries are consistently sweet and delectable. In the fall some stands have fresh foraged Maitake, or Hen-of-the-woods mushrooms. I try to buy as many of these as possible. Maitake have fantastic health benefits, are extremely tasty and versatile to cook with, and include woody stems that I save in the freezer to add to vegetable stocks. Check out this post from Drweil.com about the health benefits of Maitake and other mushrooms like Shiitake. Both of my markets have a variety of naturally-raised meat available, and now both have fresh fish vendors! In Davis Square, the Globe Fish Company offers super-fresh, never frozen fish from their family-run business. We have a new fish vendor in Central, C&C Lobsters and fish, which seems to also be a small, family-run business. They have a nice variety of local fish and also lobsters–either live for you to take home to cook, or, if you order ahead, steamed and ready to eat. 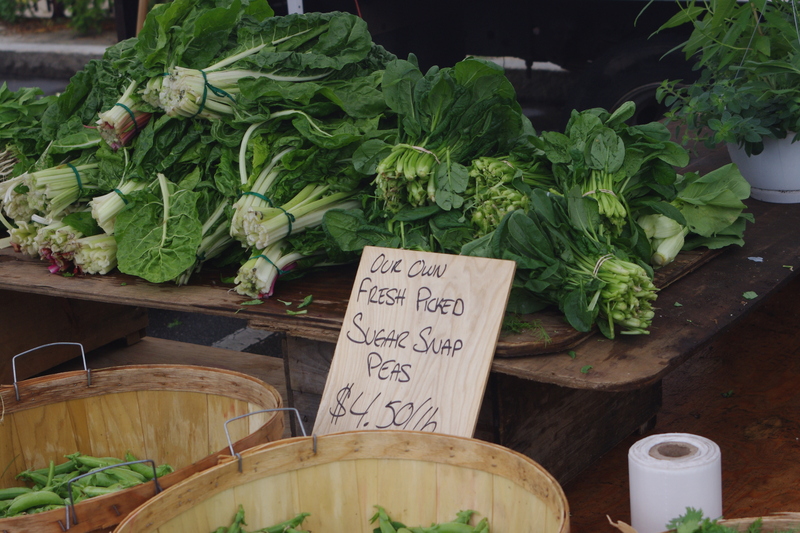 Aside from all the beautiful produce, farmer’s markets are a community gathering opportunity. I often run into people that I know and maybe don’t see too often at the markets, and it’s like we’re all giddy with joy–it’s just so delightful to be surrounded by beautiful produce and happy people! One thing I buy every week is kale. I love Enterprise Farm’s organic tuscan kale (also known as black, lacinato or dinosaur kale), as well as their green and purple kale. Kale is one of the healthiest foods you can eat. I think I tell at least one patient every day that they should include kale in their diet. The problem is that no one knows how to cook it! We almost always prepare it as a simple saute with some garlic and salt. Easy, fast, delicious–what else do you need in a vegetable dish? -add the kale and saute. It’s good if there’s a bit of water left on your kale from washing –that water helps steam the kale as it’s cooking. Add salt (be judicious–kale doesn’t seem to need much salt) and enjoy!